You'd think it'd be hard to meet up with other full-time travelers on the road. We're scattered across the country, and our schedules aren't synced. But in reality, travel plans align more than you might expect. Most RVers head south in the winter and north in the summer. 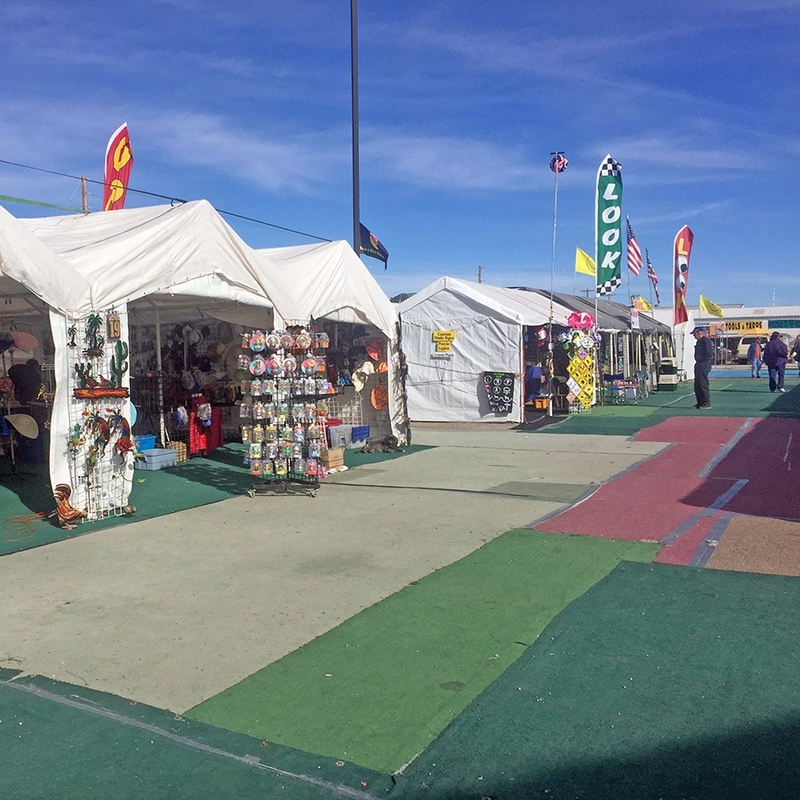 When the weather turns chilly, there are two major hotspots for full-time RVers: the Florida Keys and Quartzsite, Arizona. After we left Las Cruces, we continued west to Yuma, where we had our brand new solar system installed on Windwaker. 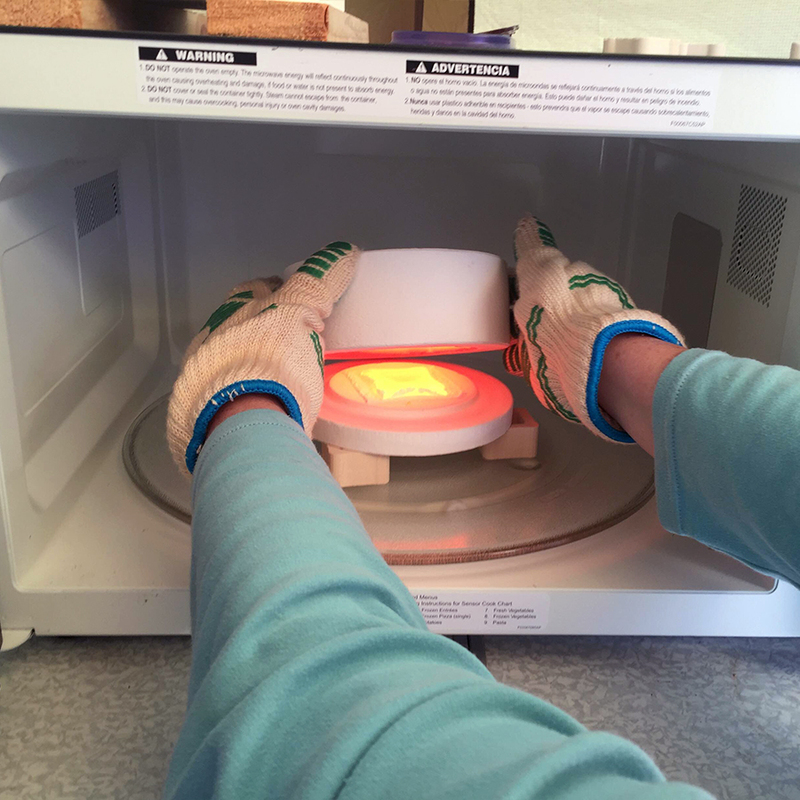 The next logical step was to test it out. 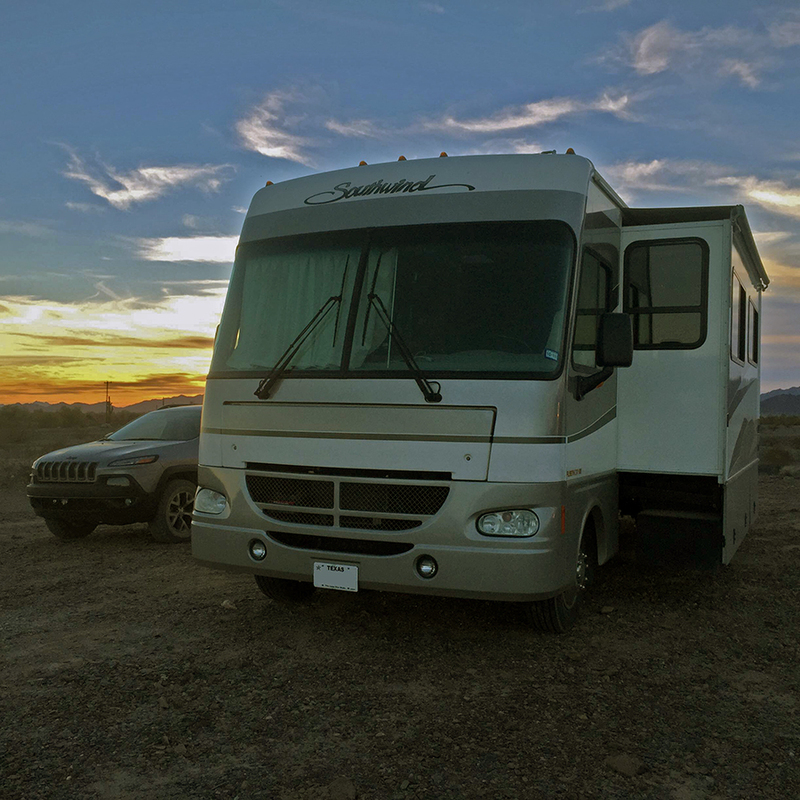 We were within spitting distance of Quartzsite, so we headed in its direction and landed in an encampment with some of our dearest RVing friends. 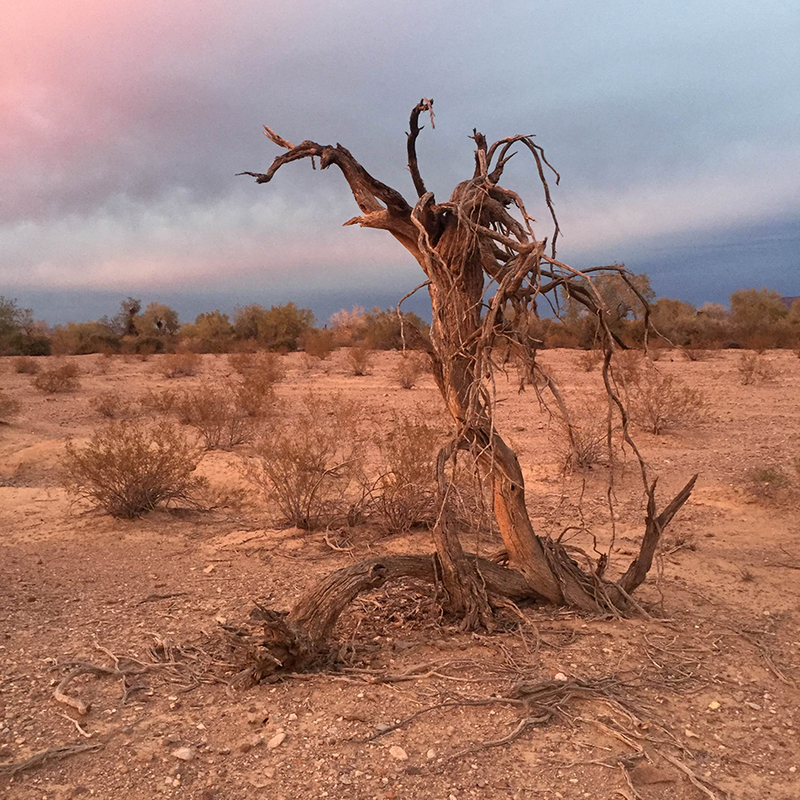 This time in the desert was really important to us — and important for us. We had been in non-stop go-go-go mode for months. Since the previous May, we had put tons of miles on our rig, toured Alaska, spent more days in repair shops than we cared to remember, moved from our fifth wheel into our motorhome, traveled from Washington to Texas for the holidays, and now were back in the Southwest. We didn't regret any of our decisions, but they left us feeling tired and burned out. There were days when we wondered why we were even doing this whole RV thing anymore. Could it really be worth all the stress and expense? 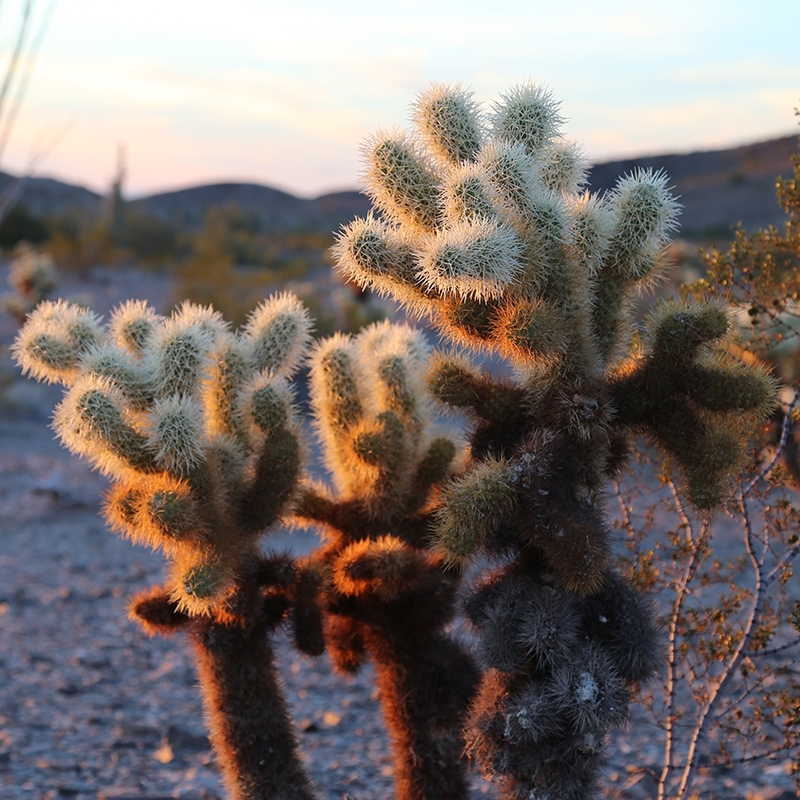 The "Teddy Bear" cholla surrounding our encampment were less cuddly than their name would suggest. 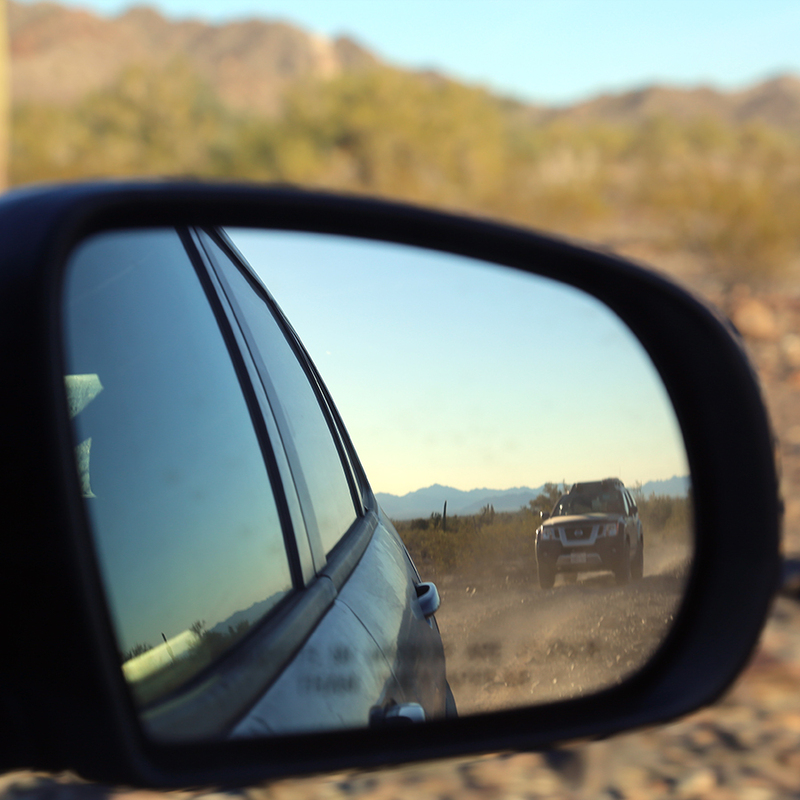 We parked Windwaker in the empty expanse of Kofa National Wildlife Refuge near Quartzsite. Our encampment had around a dozen RVs. It was there that something wonderful happened. 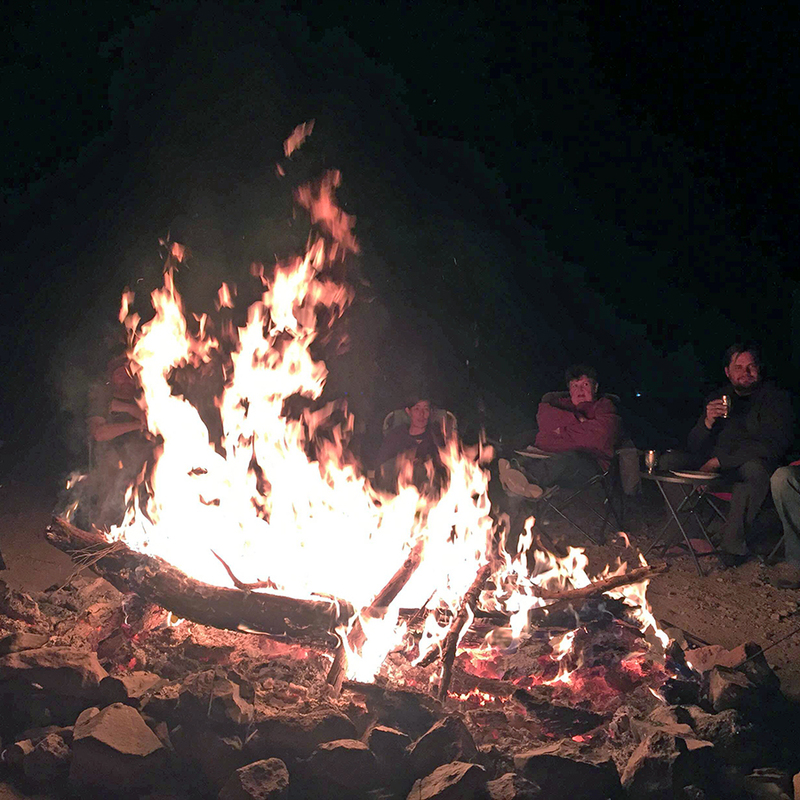 We fell into a comfortable rhythm, attending morning yoga, working during the day, walking the dogs in the afternoon, and gathering around the campfire when the stars came out. It was a huge comfort knowing we didn't have to move for a while, and an even bigger one enjoying the fact that we had friends just outside our front door. While we weren't working, we spent time sharing our skills, from glass fusing to lockpicking. We shared our hobbies too, like kite flying and off-roading. 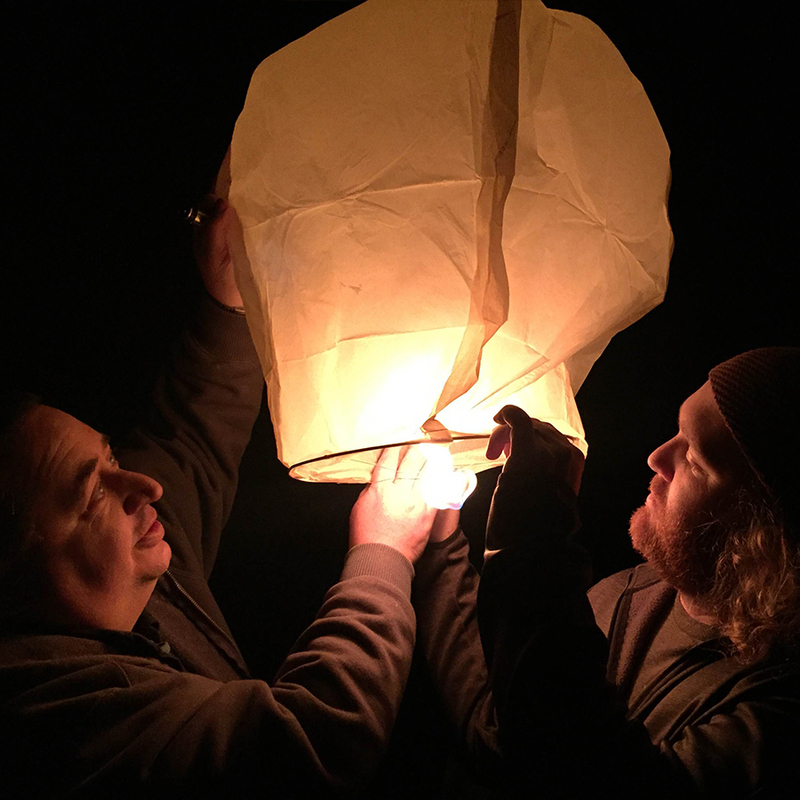 We celebrated Josh's birthday with an almost magical moment: the lighting and releasing of sky lanterns into the still desert air. Several of our friends have described the joy of finding one's tribe on the road, of belonging, and we echo that sentiment. We needed to reconnect with these people. They're some of the best people we know, and they, like us, live with the emotional roller coaster that RVing full time can be. We needed this chance to remind ourselves why we're living the life we're living and to feel excited about travel again. 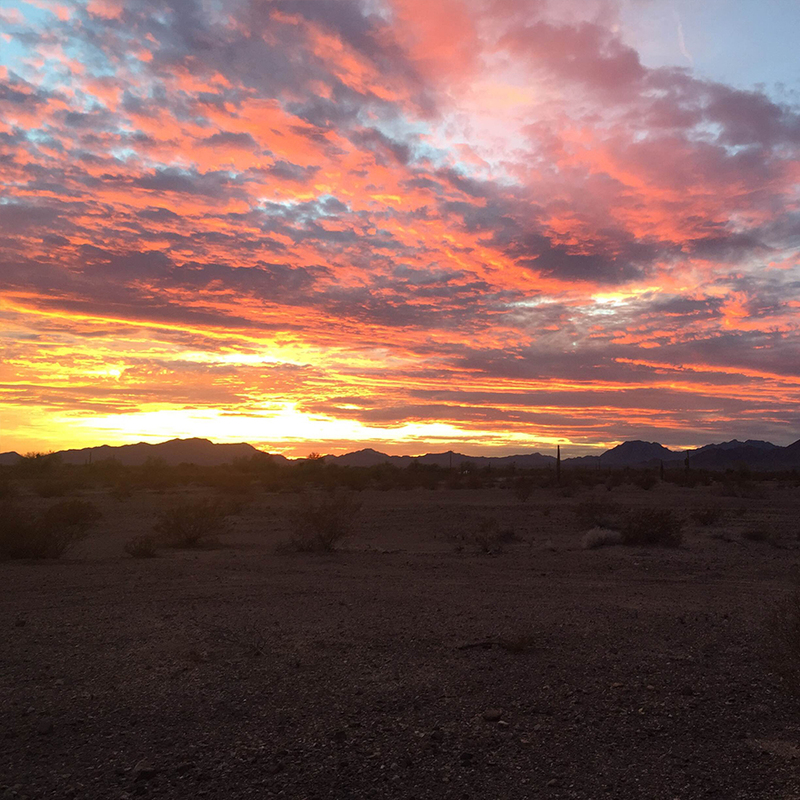 For more information on activities in the Quartzsite area, head to our list of five recommendations. If you've been burned out before, how do you slow down and remind yourself why you do what you do?